Genes connected to calcium signaling and their associated diseases. The data flow is represented in the graph going from left to right. 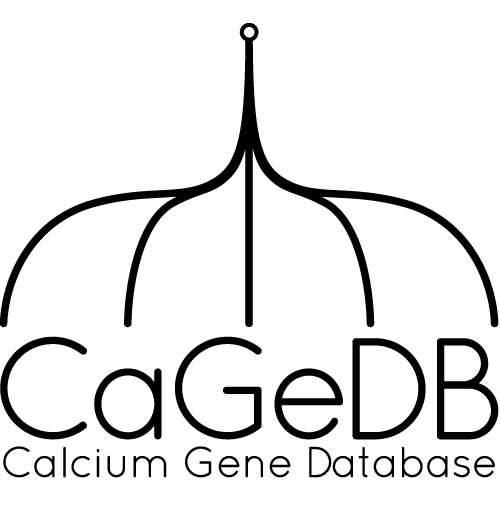 First, Gene Ontology (GO) terms describing the calcium signaling pathway were chosen. These were used to query the databases NCBI-Gene and Ensembl. The results were merged based on their gene symbols and NCBI IDs. The resulting list of gene symbols together with NCBI IDs were used to query the Comparative Toxicogenomics Database to acquire diseases associated to the genes. In the last step these entries were connected with terms from the Medical Subject Headings (MeSH) database to categorize the diseases, based on the MeSH Tree hierarchy. The size of each node corresponds to the number of results. Move the cursor over each circle for the number of results, move the cursor over the links between the circles for more information on the query. Venn diagram of the genes annotated with the selected GO terms in the Ensembl (red) and NCBI Gene (turquoise) databases. Move the cursor over the circles to see the number of genes in each database. This pie chart shows the number of gene annotations from different calcium-signaling categories. Move the cursor over the graph for category names and the number of genes in it. This pie chart shows the distribution of diseases with respect to their genes calcium-signaling categorization. Move the cursor over the graph for category names and the number of genes in it. This pie chart shows the distribution of gene-disease associations with respect to the genes. Move the cursor over the graph for gene names and the number of diseases associated with it. This sunburst diagram shows the occurrence of calcium genes associations to diseases in the MeSH Tree Structure colored according to their frequency. Move the cursor over the graph for field names (including the number of associations to the field/its child terms), click on the field to zoom in, click in the center to zoom out again.